This week just keeps humming along. There's buzz around the office here as people are getting ready to head downtown for Dragon Con. I will not be going to the show. I have other things I'll be working on. Some of those things will include the weekend updates. But we're only midweek. 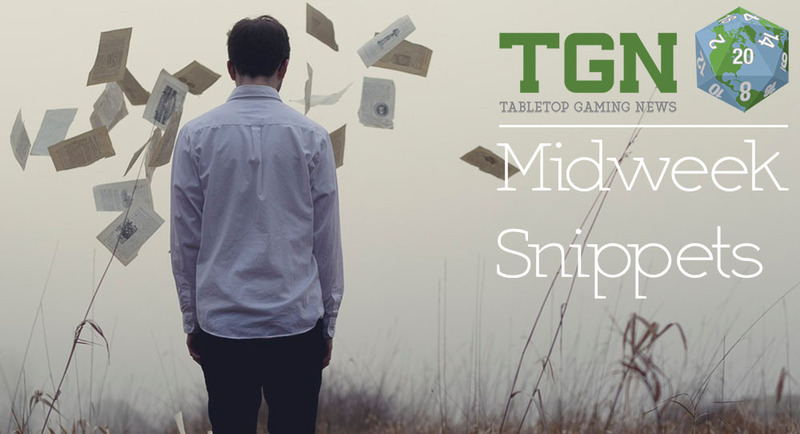 So lets get our Midweek Snippets post typed up here to you. ICE's classic tabletop skirmish game Bladestorm is about to be revisited and has received it's first upgrade after 25 years. Bladestorm was published in 1990 during the high time of tabletop game releases. The original game was set against the backdrop of Folenn, a wild and rather uninviting continent of Terry K. Amthor's Shadow World RPG setting. While times were challenging, ICE prevailed with it's focus on the Rolemaster series. The Bladestorm license however transferred to Metal Express, an independent game developer located on the West Coast of the United States. Bladestorm's claim to fame is it's dice mechanics. It is also what sets it apart from most tabletop games today. Designed to be streamlined into only one dice roll for attacks and damage effects alike, the system is easy to pick up and quick to play. After almost a year of preparation, today marks the release of the new Bladestorm Quick-Start Rules. 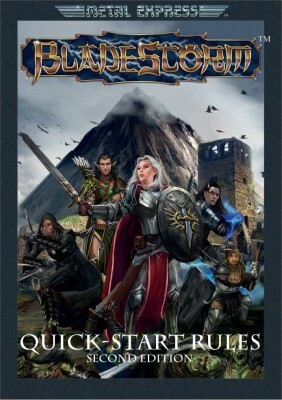 They resemble the Basic Game of the Bladestorm Rulesbook and are published in full color as a free download at RPGNow. The Quick-Start Rules are the first milestone on the way to a new Second Edition Rulesbook. As work continues, MX is looking forward to playtest new concepts and and develop new setting modules that also tie into the Shadow World. Even though settings include preset heroes and villains, Bladestorm is not dependent on them. The game itself does not require a setting and can be used within virtually any fantasy environment. To emphasize this, MX is also offering a software tool that basically allows any miniature to be converted into a playable combatant for the game. In order to get in touch with players, MX has put up a new facebook page for Bladestorm and is also looking to bring players together in their forums. After releasing the Quick-Start Rules, It's going to be interesting to see what the finished Second Edition of the game will bring to the table. The Apocalypse-class superheavy tank is designed as a deep-space all-in-one peacekeeping solution. combat troops or six power-armored troops. 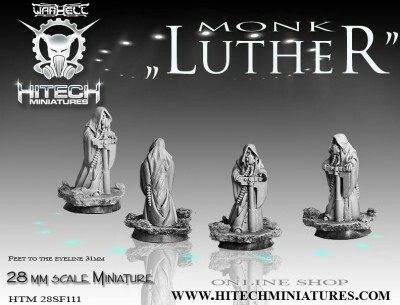 This is a 15mm scale multi-part resin kit. The Apocalypse tank was sculpted Steve “Coolhand” Tyler. We've just released the latest codes for our "Great Enemy" range of 15mm evil forces -- Great Orc Elites. The warriors are all armed with a heavy scimitar, the commander instead using a great axe. These are considerably taller and bulkier than the slave orcs that make up the mass of rank and file. There are two codes, Great Orc Elites and Great Orc Elite command. These often serve in an elite unit, sometimes as the bodyguard in armies led by an Orc general. Statuesque Miniatures is pleased to announce we are taking Pre-Orders for the new Pulp Alley supplement Pulp Leagues, along with the new Pulp Alley Roster Pack. In addition, I have extended the 10% Off Sale on all Pulp Alley books and cards until the 1st of October 2015! As well as introducing some new rules, the Pulp Leagues book is also a compilation of all Pulp Alley character types, perks, abilities, and resources previously published in the rulebook and expansions. In addition, Pulp Leagues includes tons of fun optional rules for playing all kinds of pulp genres — including sci-fi, fantasy, old west, horror, swashbuckling and more! 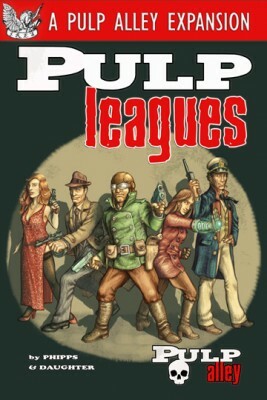 As a Pre-Order Special Offer, the Pulp Leagues book is available for only £11.25, saving 10%. Each Pulp Alley Roster Pack includes 15 blank cards for creating your own Pulp Alley leagues and characters (2x blank Roster cards, 2x blank Leader cards, 2x blank Sidekick cards, 3x blank Ally cards, 3x blank Follower cards, 3x blank Gang cards). Available now as a Pre-Order, the Pulp Alley Roster Pack is priced at £4.75. These offers will run until the 1st of October 2015. Please note that any orders containing a pre-order item will not be posted until the 1st of October 2015. IMP25 Muster "Cutter" Trooper is the free in every order 15mm miniature from The Ion Age for September 2015. 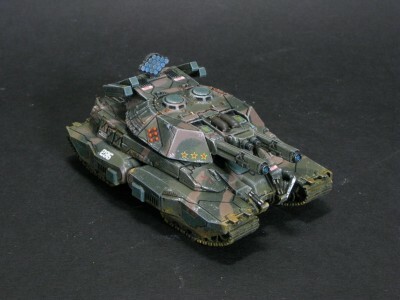 A great miniature for your Platoons and your Collection. Our first 'year three' miniature as well as we continue our journey into space opera awesome wargaming. For more information about IMP25 and this coming month click through. Thanks for Reading.